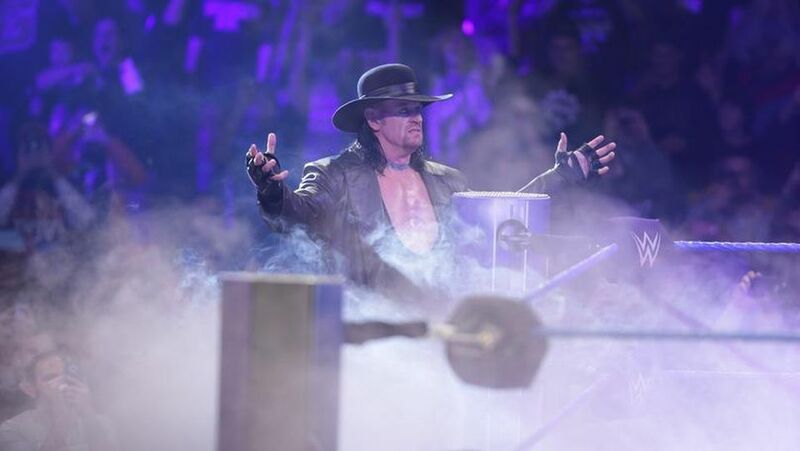 The Undertaker finally answered John Cena's WrestleMania 34 challenge with a dramatic return and surprising squash victory as WWE's unprecedented decision to allow a John Cena and/or Undertaker WrestleMania match go unadvertised paid off spectacularly. The Undertaker returned at WrestleMania to squash John Cena. John Cena carried the entire build to a match that was never guaranteed with the all-time great desperately calling out The Undertaker on Raw and social media. WWE's decision to keep fans on their toes by not booking any Undertaker appearances leading up to the event was a sign-of-the-times booking decision reportedly orchestrated by a man who many unfairly criticized as being "out of touch." "They are also of the belief announcing Taker in advance won't compel anyone to purchase the network, as anyone inclined is getting the network for the show anyway. This is Vince McMahon's story and he seems very happy with it." An estimated 70,000 fans joined McMahon in their apparent happiness with the angle. This angle is so much bigger than just a dream match. It represents uncharted territory. WWE was able to leverage the brand power of WrestleMania—to forego promoting one of its biggest matches—the era of information—where fans could simply Google news and rumors that suggested Undertaker would be in appearance—and social media—where John Cena kept the storyline alive through incessant trolling—to book a storyline and match that will be remembered for decades. The WWE Network is still only four years old, so the majority of WWE's booking still follows the format from the pay-per-view era where television storylines were meant to encourage fans to pony up $59.99 to their provider of choice. When WWE was exclusively on pay-per-view, it couldn't announce a John Cena vs. Undertaker match fast enough. The allure of such a novel showdown would be the driving force behind a healthy buyrate. But today? WWE's shrewdly understated build of a match that could have headlined any of the past 10 WrestleManias somehow allowed rampant fan speculation to become part of the storyline. In this new climate, WWE has gutted its entire pay-per-view model in favor of an over-the-top network designed to keep pace with a culture of streaming that is becoming more threatening to traditional television with every passing year. Though rights fees from television are WWE's highest revenue stream by far, its WWE Network model gives it the creative liberty to book the world's first anti-pay-per-view WrestleMania match. What's crazy about this is WWE's only significant increase in subscribers comes during WrestleMania season, and it still chose to play Undertaker vs. John Cena close to the vest. On a weekend where a real-life pro wrestling-style storyline (steel chair and all), anchored by the increasingly unstable Conor McGregor, sabotaged UFC 223 on pay-per-view, WWE's less-is-more approach has enhanced a WrestleMania match between its two premier living legends that, judging by the finish, could be an extension of an unprecedented buildup. 0 Response to "WWE WrestleMania 34 Results: The Undertaker Destroys John Cena As Bold Booking Decision Delivers"